Welcome to day 2 of the Catastic Event! 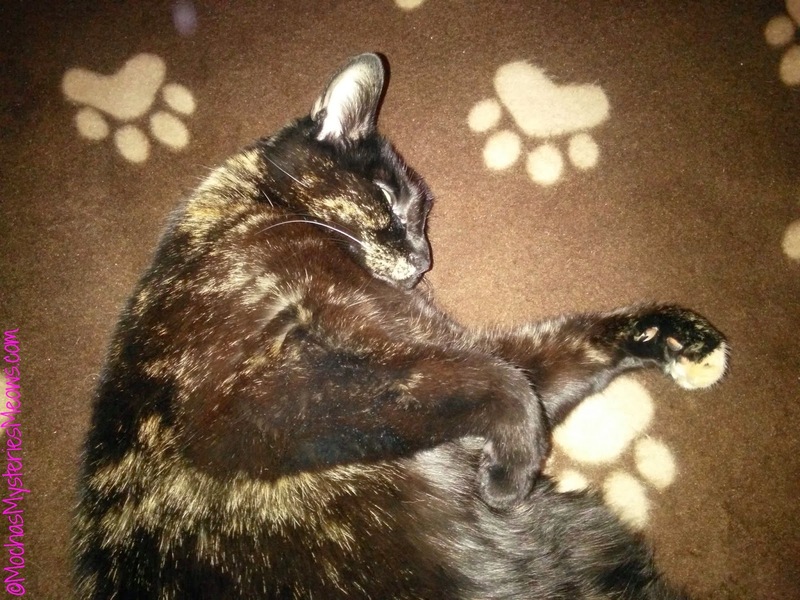 Today we are bringing you a guest post from Truffles the cat of Melissa's Mochas, Mysteries and Meows. 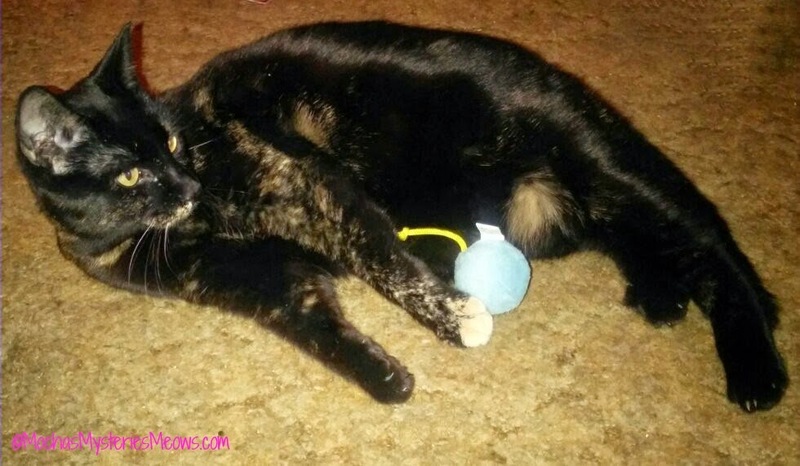 Truffles came into Melissa's life at a very special time and tells us how kitties can be healers. All of us Farm cats thank Truffles for sharing her story and the publicist will be making a donation to the Blind Cat Rescue in Melissa and Truffles's honor today to thank them for sharing this heartwarming story today. Hi everybody! 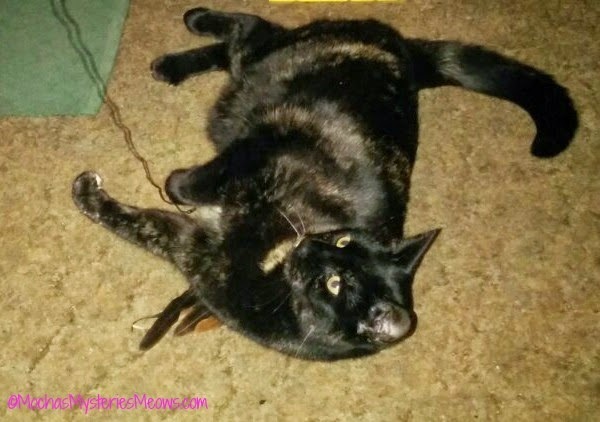 Allow me to introduce myself...I am Truffles the tortie, co-blogger at Mochas, Mysteries and Meows. Last week I celebrated a momentous anniversary. One year ago on July 18th my life changed forever. A nice lady found me roaming around her summer camp in the Champlain Islands of Vermont and brought me to the animal shelter. A mere month later my Mommy Melissa saw my picture on Petfinder, fell in love with me and decided to adopt me! I am so, so happy in my forever home and my greatest wish in life is for every homeless kitty to be as loved as I am. I've heard it said that when you adopt a cat from the shelter you are saving two lives...the cat you're adopting and the next one who will take their place in rescue. But you know what I've discovered? You're actually saving a THIRD life...your own! You see, when I came into Mommy's life her heart was broken. Just six weeks earlier she had suffered the loss of her beloved kitty Tara. Tara had been sick for two years with a variety of serious health issues, and Mommy was exhausted, both physically and emotionally. Coming home everyday to a cat-less house was more than she could bear, and she knew that Tara would want her to open her heart to another kitty. Preferably, another tortie (teehee!). I was the lucky one that she chose, and I made it my mission in life to put a smile on her face every single day. So far I think I'm doing a pretty good job. From the day I came home we've been virtually inseparable. I love helping Mommy blog about my adventures, and I'm right by her side while she's reading all the books she writes about, too. I'm not famous by any means, but I purr with delight when people tell me how cute I am :) Thanks to our blog I've gotten to try out some pretty cool toys, lots of yummy treats, and most importantly I've made some wonderful friends, both human and feline I want to thank the Farm Cats for inviting me to be a part of their Catastic Event. I love being a kitty blogger and spreading the word about the importance of adopting from your local shelter. You know how humans always say that money can't buy happiness? Not true...it can be bought in the form of an adoption fee! Wasn't that the nicest of stories? I think I see Sherpa wiping a tear! Thank you Truffles I am sure you have made many people want to run to the shelter to adopt their own special pet! Be sure you head over to the publicist's blog today where there is a GIVEAWAY from Peach Industries for a most excellent Cat Lounger! Actually for TWO loungers - one for you and one for the shelter of the winner's choice!